The second was Luise Mühlbach (the pen name of Clara Mundt, 1814 Neubrandenburg – 1873, a German writer wrote popular romantic fiction about the crowned heads of Europe and other famous people in the 19th Century. My mother inherited all twenty-two of her books, and I read each one at least twice. What a world that was! Then there was John Hersey’s “Hiroshima” , which arrived via the Book of the Month Club. I read it in one sitting, and have never been able to forget any of the images he describes in it, and I discovered the power of words to paint verbal pictures of reality in a way I had never seen it done. The late great Stieg Larsson writes with that kind of descriptive power and clarity in his “Millennium Trilogy”. Later, along came the Cretan Nikos Kazantzakis, author of “Zorba the Greek” and other novels, with his powerful language, characters and dynamism. Then a writer friend gave me a copy of Gabriel Garcia Marquez’s “One Hundred Years of Solitude” and I discovered the world of magic realism, in which ordinary events and characters are mixed with elements of myth and fantasy, and I was hooked. Today my favorite writers include J. K. Rowling and Haruki Murakami, both of whom include magic and myth in their writing. Murakami’s “1Q84”, “Kafka on The Shore” and “Hard Boiled Underworld and The End of The World” are so filled with fantasy and mythic elements that it is hard to know what is real, what seems real, and what is not. The key to all these authors and, I hope my own writing, is that their work is anchored in first class story telling and strong, believable characters. They also have a deep sense of compassion for the people they write about. All of their characters are believable and real, and I like that. In most of what I write today, myth and magic play a part. That is true of my novella The Old Man and The Monkey (who is the old monkey? ), more so in “Bear”, my children’s series about a boy named Andy and his big, bearlike dog, and even more so in “The City Has Many Faces”, a novel about Mexico City that I am now writing, because it fits with the city’s ancient history and culture. But in the novel after that one, about a fictional Tokyo artist who, as an eight-year-old boy survived the Tokyo firebombings of March, 1945 and became a well-known artist, it will not be present, as the story calls for compassionate realism. 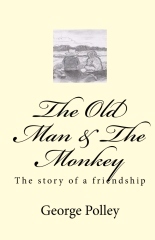 The Old Man and The Monkey is about a village elder in Japan and the large monkey who became his friend over the last five years of his life. Since the villagers don't like monkeys, none of them approve of the friendship between the old man Genjiro Yamada and Yukitaro ("snow monkey" in Japanese). But Genjiro refuses to give up the friendship, even when his wife objects to it. After all, monkeys are nuisances and thieves. But over time, both Genjiro’s wife and the villagers come to grudgingly accept him, especially when, on several occasions, they receive a special blessing from him. 'The Old Man & The Monkey' is a stunningly beautiful story of a relationship which develops between an old man and a creature which is regarded as a dangerous pest in Japan, a snow monkey, in George Polley's moving allegory of dignity in the face of prejudice and racism. 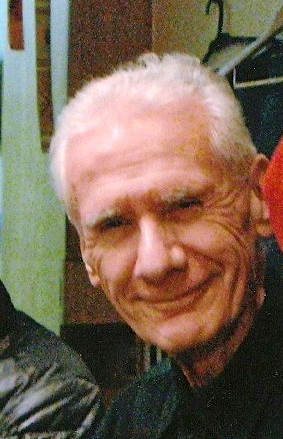 His work has appeared in the South Dakota Review, Crow's Nest, Expanding Horizons, The Enchanted Self, Community Mental Health Journal, Maturing, The Lyon County (Minnesota) Review Wine Rings, North Country Anvil, North American Mentor Magazine, the McLean County (Illinois) Poetry Review, River Bottom, Tower Talks and Foundations. George's e-book 'The Old Man & The Monkey' poses one of the most elegant and powerful arguments against racism of all time, and his 'Grandfather & The Raven' argues equally compellingly against violence in all its forms.